On March 9-10th in London, UK the UAEJJF (United Arab Emirates Jiu Jitsu Federation) hosted the Abu Dhabi Grand Slam. This event brought athletes from all over Europe, Middle East, South America, North America and Asia. This tournament is a very prestigious tournament held few times a year all over the world. From Ares Kenny Kim BJJ we had 3 masters black belts who participated in the tournament. 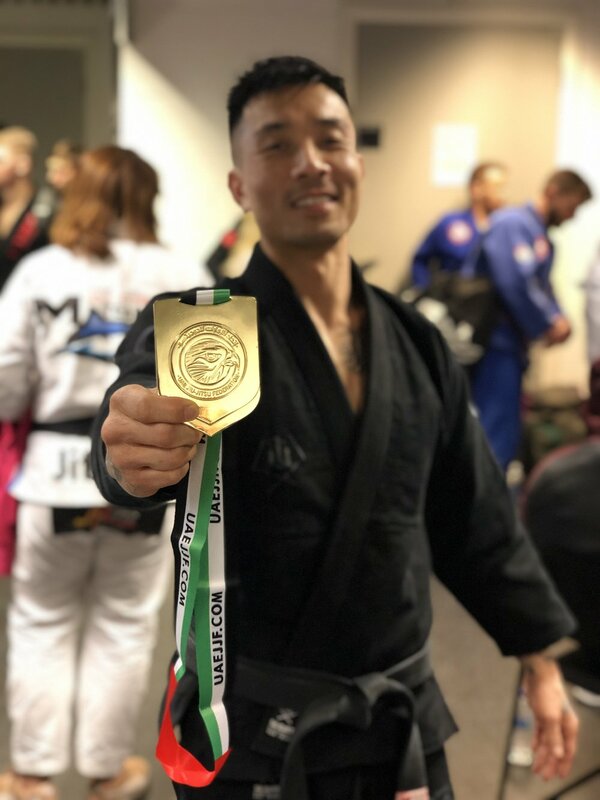 This event brought the best of the best from all over the world and Professor Kenny was able to capture the gold medal in his respected division. Congratulations to Professor Tracy Conner and Professor Ryan Ellison on giving their best in the tournament, we are very proud of you all!